A proposed relocation of Dave & Buster’s River North location to a sweeping space inside the Water Tower Place shopping mall will be the focus of a community meeting in Streeterville on Tuesday evening. Currently located at 1030 North Clark Street, Dave & Buster’s would quadruple the size of the outlet’s gaming, dining, and drinking space to nearly 40,000 square feet, if approved. Tuesday’s meeting in the Lake Shore Park Field House, 808 North Lake Shore Drive, will begin at 6 p.m. with Alderman Brian Hopkins (2nd) and the Streeterville Organization of Active Residents (SOAR) in attendance along with representatives from Water Tower Place and Dave & Buster’s. Water Tower Place and the nearby neighborhood have been overrun with sometimes-violent mobs of youths, especially during the spring and summer months. 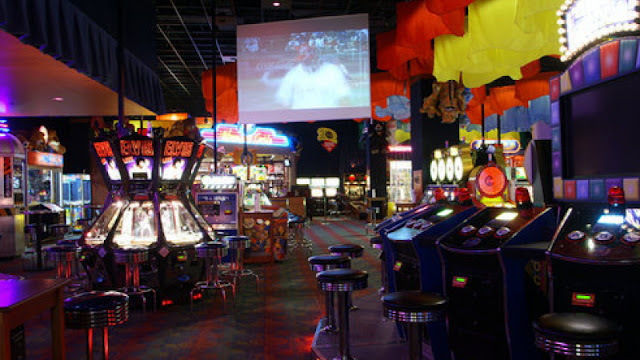 Security plans for introducing a massive video gaming arcade to that atmosphere will be of particular interest to some local residents. A move to the iconic Mag Mile mall “would have a significant impact on the Water Tower experience, so we just felt that the community needed to weigh in on this, especially since we’re adding a liquor license where one currently does not exist,” Hopkins told Crain’s Chicago Business earlier this month. Crain’s also reported that Hopkins was not convinced that Dave & Busters would be a good fit for Water Tower Place. “I’m skeptical that it is, but I’ll keep an open mind until the process plays out." In an email to constituents on Monday, Hopkins invited anyone who cannot attend Tuesday's meeting to send questions to his office. “[We] will make sure your questions and comments are addressed," he said. Using the topic "Dave & Busters Question," inquiries may be emailed to Hopkins' office at ward02@cityofchicago.org.